We are honored to recognize the 75th Anniversary Corporate Partners listed here and express our appreciation for their generous support of the year of celebration. Hewlett Packard is a leading global provider of products, technologies, software, solutions and services to consumers, businesses and customers in the government, health and education sectors. Wells Fargo is a diversified, community-based financial services company with $1.3 trillion in assets. Since 1852, Wells Fargo has been committed to helping consumers and businesses succeed financially. A top corporate philanthropist, we are the oldest and largest financial services company still headquartered in San Francisco. Odwalla has been making juices and innovating in the natural health beverage category for 30 years. Our nourishing beverages and food bars are available in natural food stores, select supermarkets and specialty outlets around the country. As a leading integrated energy company founded and headquartered in California, Chevron has a long history of strategic partnerships to promote economic development for California. Chevron is proud of Ted Huggins, a member of the Chevron family who become one of the Bridge's first and most tireless photographers. Levi Strauss & Co.
From its California Gold Rush beginnings, Levi Strauss & Co. has grown into one of the world’s largest brand-name apparel companies. Levi''s® products were worn at the bridge’s 1937 open day celebration. Hanson Bridgett has been counsel to the Bridge District for more than four decades. Our firm and its lawyers are driven by a commitment to diversity, charitable giving, pro-bono legal work and hands-on service. Founded right here in the Bay Area in 2001, Speck makes stylish, protective and innovative cases for today's hottest personal electronic gadgets, and for the people who love using them. 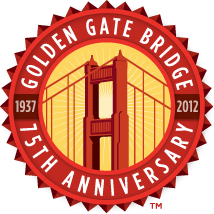 We salute the bridge's 75th Anniversary and (since we're always looking toward the future) we look forward to celebrating it's 100th in 2037! We extend our special thanks to the following organizations and individuals for their pro bono services. Our thanks to the photographers who contributed to this website — Della Huff, Javier Acosta, Mason Cummings, Michal Venera, Stephen Hollingsworth, Steve Landeros, Jessica Weinberg and Tung Chee — and to web developer, Delwin Vriend.